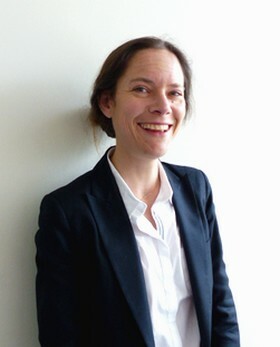 Elen Riot is Associate Professor at the University of Reims Champagne-Ardenne, France. Her research interests include arts, culture and heritage as well as luxury business in relation to strategy, organizations, and public institutions. Riot E. and Guillet de Monthoux P. (2016), ART Foundations, the Gift of Luxury to Art, EGOS, Naples, July 5-9. Riot E. (2016), A CSR Patron of the Arts. When Bernard Arnault Open the Louis Vuitton Foundation, In Bathurst R. et Eweje G. (eds. ), On Leadership, forthcoming. Riot E. (2014), Anarchy by the book? Forget about it! : The role of collective memory in shaping workers’ relations to anarchism and work today, Ephemera, 14(4), 811. Riot E. (2014), L’œuvre virale, Net art et culture hacker, Note de lecture, Sociologie du travail, 56(2), 272-274. Riot E. (2013), À l’école de l’entrepreneuriat social, Entreprendre & innover, 1, 24-34. Riot E. et Bazin Y. (2013), Imperceptible or Insensible? The Aesthetics of Gestures, Choices and Moves at Work, Society and Business Review, 8(3). Riot E. (2013), Woman in Love, Fashion Artist or Entrepreneur ? The Edifying, Mistifying Life of Coco Chanel, Society and Business review, 8(3), 281-313. Riot E. (2013), The Forrest of Mirrors. Mimesis and Management Control in a Multinational, International Journal of Work, Organization and Emotion, 6(1), 58-91. Riot E., Chamarret C. et Rigaud E. (2013), Murakami on the Bag : Louis Vuitton Facing the Commodity Trap, International Journal of Retail and Distribution Management, 41(11/12), 919-939.